Cleveland synthesist, Spectrum Spools curator and No Way Back mainstay John Elliott joins BMG and Erika for a session in our Detroit studio. Detroit isn’t the only part in the Rust Belt you’ll find teeming with musical freaks. From Pere Ubu to Devo to Bootsy and Catfish Collins, the state of Ohio has produced its fair share of sonic free-thinkers over the years. Add Cleveland synthesizer maestro John Elliott to that list. Known for records under the name Imaginary Softwoods and (with a rotating cast of collaborators) Outer Space and as a member of the now-defunct band Emeralds, Elliott makes music in the tradition of kosmische greats without ever delving into pastiche – it’s too inventive for that. 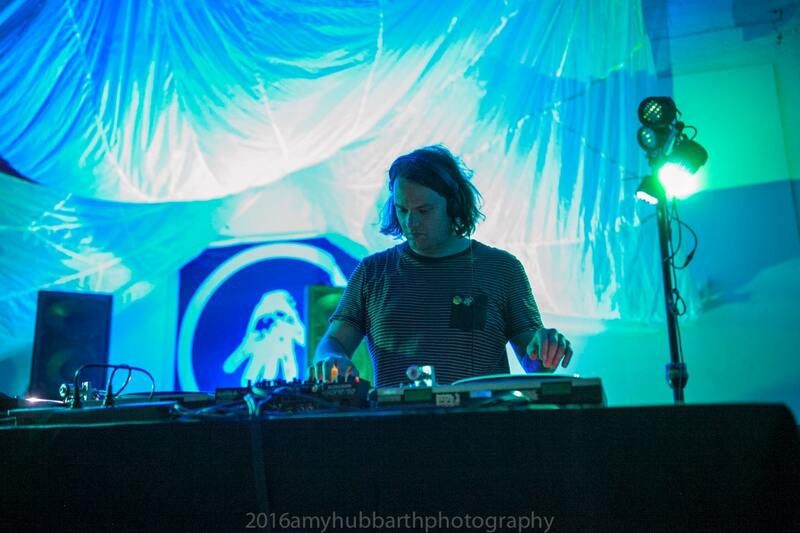 In addition to his own sprawling compositions, he’s become known for championing the music of others, whether as curator of Editions Mego sublabel Spectrum Spools or through the brain-melting ambient DJ sets he’s played at events like Interdimensional Transmissions’ yearly Detroit bacchanal No Way Back. I.T.’s BMG and Erika invited Elliott to drive over for the day with some selections from his record collection for a session in our Detroit studio – tune in for outré-gamelan, Fluxus nuggets, haunting textural studies and more, along with interview segments delving into this unique musical mind.